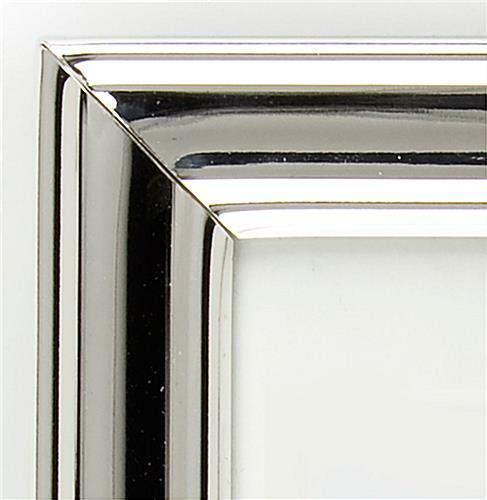 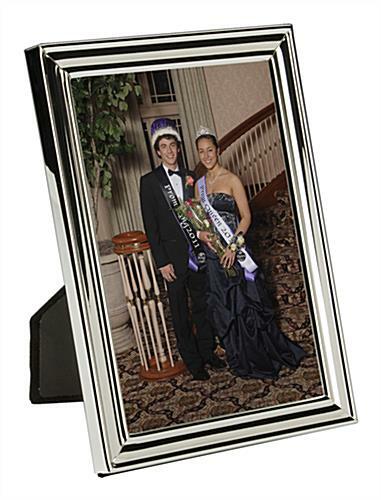 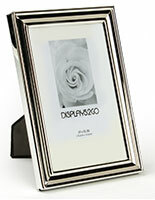 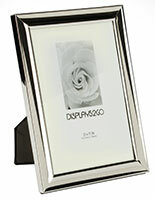 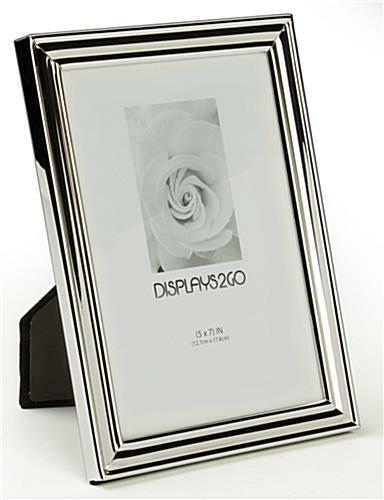 This small silver picture frame is the perfect decorative accessory for a special baby or wedding photo, or portrait. 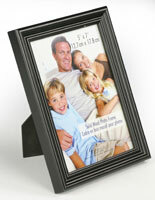 The wallmount framing for 5" x 7" snapshots can also be placed on a countertop. 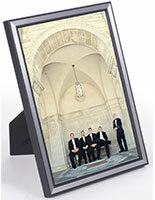 An easal backer allows portrait and landscape viewing options. 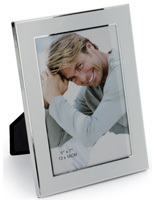 This shiny silver picture frame is a quality plated alternative to sterling, and more affordable, with a clear glass protective lens. 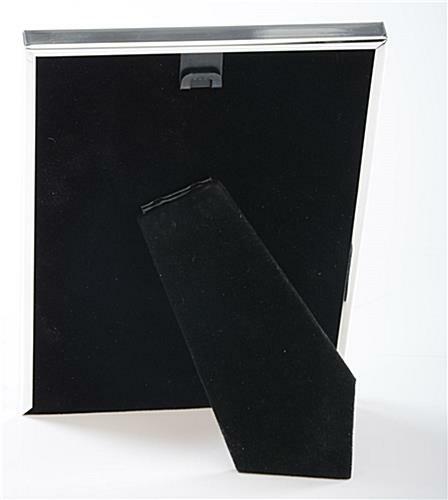 A slide-in, felt backing at the rear is easy for the user to maneuver when changing out presentations. 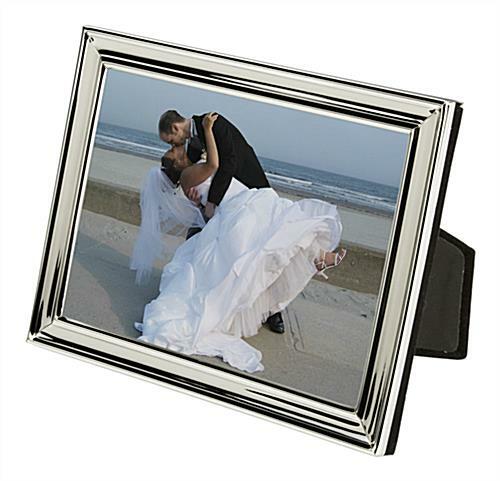 A baby or wedding photo looks extra appealing in this frame, like a decorative enclosure! 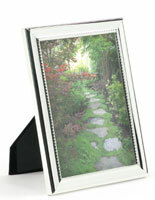 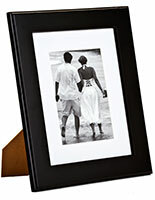 This frame is great for tabletop or wallmount, and inexpensive!